This Automobile Insurance Company of Hartford health insurance review looks at the Automobile Insurance Company of Hartford, Connecticut. The company’s immediate parent is The Standard Fire Insurance Company. The company is a wholly owned by The Travelers Companies, an insurance conglomerate also headquartered in Connecticut. The company focuses on commercial property & casualty insurance lines, including auto, marine, general umbrella liability, and workers’ comp policies. According to our research, the Automobile Insurance Company of Hartford does not write health insurance lines. Medical insurance (as part of an auto insurance policy) is offered. If you are searching for health insurance, you have come to the right place. Take a moment to request free competitive health insurance rates through our online request tool. Just enter your zip code to initiate the request process! According to Dun & Bradstreet, the company was founded in 1972. The Standard Fire Insurance Company was founded in 1910. The company, as part of The Travelers Companies, writes property & casualty and commercial property insurance lines throughout the United States and in the United Kingdom. Automobile Insurance Company of Hartford focuses on large and small commercial clients and individual customers. The company also offers surety and fidelity bonds as well as risk management services for management and professional liability insurance lines and specialty insurance to manage other client risks. The company’s focus remains property & casualty insurance lines. In 2010, the company pared its non-standard insurance and medical malpractice insurance lines. As parent company, The Travelers divested its reinsurance lines, and has sought external reinsurers for its client’s needs. As part of The Travelers Companies, clients with special underwriting needs in agriculture, oil & gas, construction, technology, and public sector receive company attention and support. Personal insurance lines represent approximately one-third of the company’s business. The company does about 90% of its business in the United States. Parent Travelers Insurance Company (and the Travelers Syndicate ‘5000’) works with Lloyds of London to offer commercial property & casualty and sophisticated risk management products and services. The company offers customized programs for special client risk management concerns. The company does a small amount of business in Canada and Ireland. The company markets and distributes its products and services through an independent insurance agency and broker network. Interested agents may apply to sell and distribute products through The Travelers Companies website. Private client insurance lines are marketed and distributed through direct marketing, affinity groups and associations, and independent insurance agents and brokers. The company and its sister companies compete most directly with Liberty Mutual Agency (LMAC), W. R. Berkley companies, and The Hartford. The company competes regionally with AIG, Allstate, American Financial Group, Allianz, Chubb Corp., AXA, Markel, Zurich Financial Services, and Nationwide. Property & casualty insurance companies like the Automobile Insurance Company of Hartford compete for their competitors’ existing clients. The property & casualty business is not considered a growth industry. Ultimate parent, The Travelers Companies, Inc., is publicly traded on the New York Stock Exchange (Symbol: TRV). According to Dun & Bradstreet, the Automobile Insurance Company of Hartford delivered revenues of approximately $247.70 million and net revenues of about $36.38 million in fiscal year 2010. The Standard Fire Insurance Company parent generated about $878.69 in gross revenues and approximately $238.82 million in net revenues for the 2010 year. The ultimate parent of both companies, The Travelers Companies, Inc., generated about $25.11 billion in 2010 sales and net income of about $3.22 billion during the period. Net income contracted by 11% year-to-year (2010 vs. 2009). In 2010, The Travelers bought a 43% interest in J. Malucelli, a Brazilian surety insurance underwriter in Brazil. 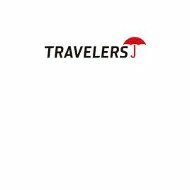 The Travelers announced its intention to expand to a global marketplace, with special emphasis on emerging markets. The company commented that India and China are markets in which it has an interest. The company maintained its premium income levels during the financial crisis of 2008 to 2009. Catastrophic claims increased in 2010 when U.S. weather claims increased. There has never been a better time to check your health insurance rates! Enter your zip code into our online comparison tool to get health insurance quotes from companies interested in securing your business!